Like any other fandom, the Sims community often gets swept by trends. 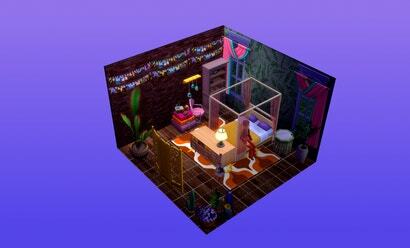 This time, the new hotness is dollhouses, all inspired by a Simmer on Tumblr called Smart Milk. The results are absolutely adorable. Smart Milk was so inspired by JMW327’s isometric pixel art of bedrooms that she made some cute bedrooms with cutaway walls. With some fussing in Photoshop, her builds take on a dreamy, cosy quality. 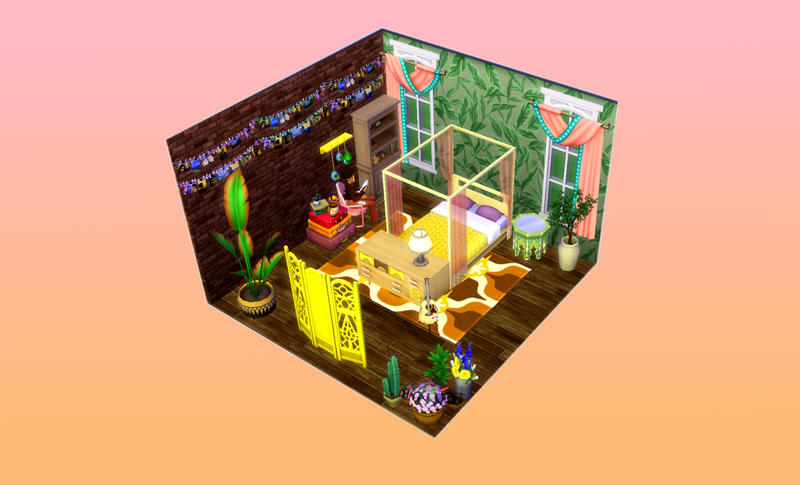 If you want to see what other Simmers are making, you can check out the TS4Dollhouse hashtag on Tumblr. These are a few of my favourite builds in the tag. Simmers have also been rounding up all the dollhouses on the Smart Milk Boxes Tumblr. I was so inspired by these posts that I decided to give the trend a try myself. My creation was a version of my dream bedroom, overstuffed with books and plants. Making a dollhouse takes a fraction of the time that it would take to make a whole build, and it felt good to flex some design muscles without committing to sitting down and really thinking about a floor plan. That said, now I’m struck with the urge to get some more houseplants.